Qantas is boosting service to Queensland with a return to Maroochydore (Sunshine Coast) from December and new flights to the Gold Coast due to take off from October. The start of a new daily Melbourne-Gold Coast non-stops from October 25 with Boeing 737-800s builds on Qantas’s return to the Glitter Strip three years ago in 2012 when it started three times daily flights from Sydney and converted the Jetstar lounge at the airport to a Qantas Club. 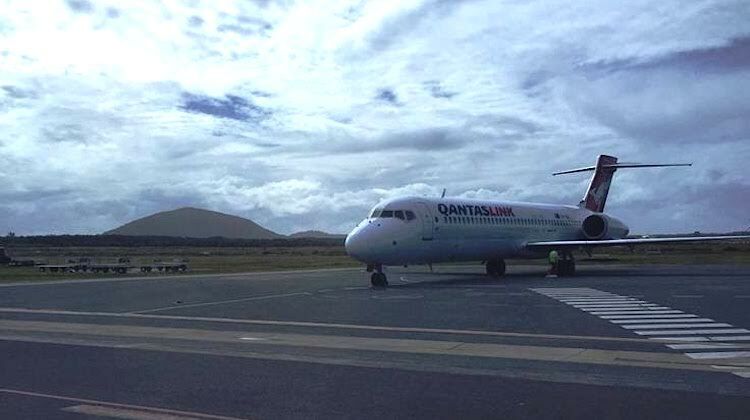 Meanwhile, two-class QantasLink Boeing 717s, which are operated on behalf of the airline by Cobham Aviation Services, will begin flying six times a week between Sydney and Maroochydore from December 21. Qantas last flew to Maroochydore nearly 10 years ago. Qantas’s low-cost unit Jetstar is already on both the Sydney-Maroochydore and Melbourne-Gold Coast routes. “These new services help us meet the growing demand for premium leisure services between Sydney and Maroochydore and Melbourne and the Gold Coast,” Qantas domestic chief executive Andrew David said in a statement on Wednesday. Qantas and Jetstar compete with Virgin Australia between Sydney and Maroochydore, while Virgin and its low-cost offshoot Tigerair Australia are both on the Melbourne-Gold Coast route. The Flying Kangaroo also flagged more flights on the Sydney-Gold Coast route from February, as well as an increased flying schedule out of Hobart. These additional flights would be supported by additional two 717 joining the fleet on lease from early 2016, which would bring the total number of the type to 20 and redeploying aircraft from Western Australia due to the slowdown in mining activity, as well as the previously announced move to add more flying hours to its Boeing 737 fleet by reducing turnaround times to 35 minutes for a greater number of flights. It is good to see Qantas expanding services and clearly demonstrates that the cost base was too high to be profitable on these routes in the past. The current cost reduction plan of removing 3 billion or so from the airlines annual expenditure is clearly producing dividends. including what looks like a near billion gross profit this year. A remarkable turn around from last year and as Alan Joyce said recently, the profit this year will be as much as the profits of ANZ, Etihad and Singapore.combined. Profits like that means that the airline can invest in new toys that pilots want to fly and engineers want to tinker with. “Marrochydore” typo in the 4th paragraph. …”Marrochydore” typo in the 7th paragraph too. About time!!!! I’d use the Qantaslink flight to go to Sydney from the Sunshine Coast for a day and or weekend. I hope it’s a success and that Qantas will add additional flights to Melbourne, Cairns, Canberra along with Townsville, Mackay, Rockhampton and Gladstone as there is still fly in fly out miners in these mining towns and other business people. Apparently the 717’s are spares they no longer need in Western Australia due too the slow down in the mining sector.